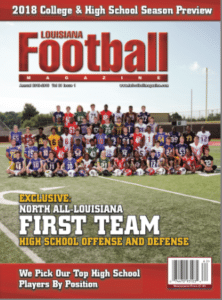 Louisiana Football Editor and Owner Lee Brecheen has scouted all of these guys from the 2015 season to now. Lee has seen these guys in person whether it was in games or in team practices. The opinions on these players below are only from Lee Brecheen not from any other recruiting site. This is the 2nd Team All-South Louisiana Offensive and Defensive Team. 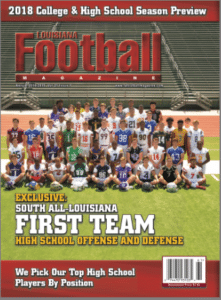 The 1st and 2nd All-South Louisiana team consists of senior players from the Baton Rouge, Houma, Lafayette, Lake Charles, and St. Tammany. 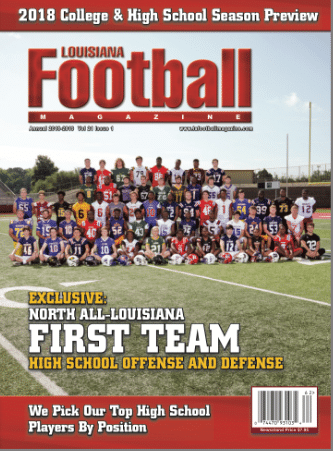 Note: We will feature articles on the players that did not make the 2nd Team All-North and All-South Louisiana team that are either DI, I-AA, D-II, D-III, NAIA, or JUCO caliber over the next six months. 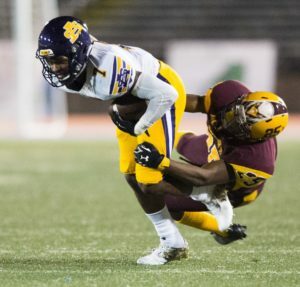 This is one of the strongest years for the state of Louisiana as there could be close to 400 players this season in the state that can eventually sign at the end of the season. Also, at the end of the season, we will put up our All-Sleeper team, which will consist of players that were not on the 1st or 2nd All-Louisiana teams. Bio: In his first year under center for the Raiders, Fields showed why he is one of the best quarterbacks in the New Orleans area. In 2017, Fields threw for 2,800 passing yards and 38 touchdowns. When the football season is over, Fields likes to play baseball and hanging out with friends. 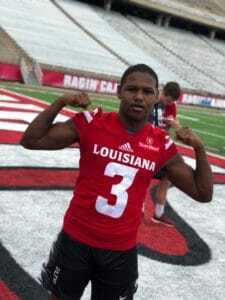 As of right now, Fields has committed to play for the ULL Ragin’ Cajuns. 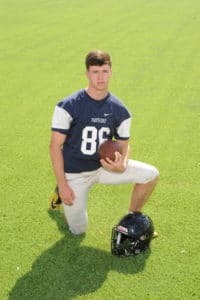 Bio: The defending Division IV state champion Lafayette Christian Academy Knights will be in contention for another state championship now that their star senior quarterback Zachary Clement has fully healed from his injury. Before the injury last season, Clement was on his way to a really productive season completing 42 of 70 passes for 966 yards and 12 touchdowns to go along with no interceptions. He also ran for 682 yards and nine touchdowns. As of right now, Clement has held offers from Northwestern State, Southeastern Louisiana University, and Nicholls State University. 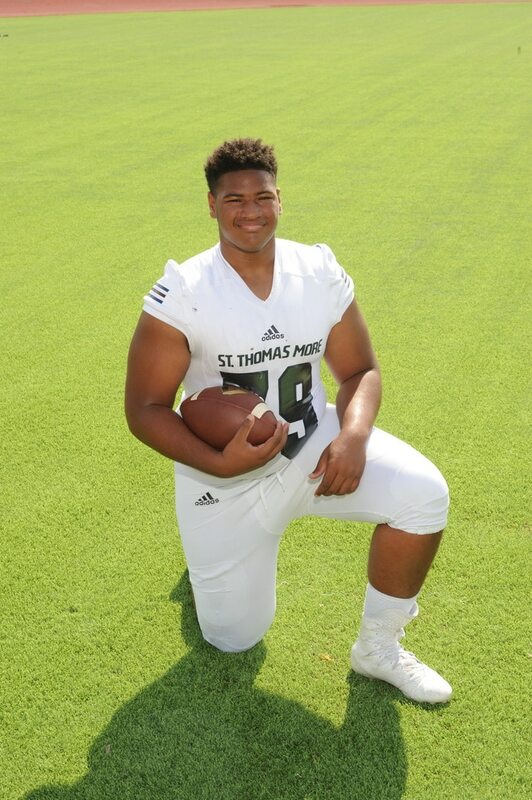 After the football season is over, Clement likes to spend time with family and friends as well as participating in other sports and working out. Bio: Splitting time with last year’s Carencro senior quarterback Chance Prejean, Austen Breaux showed his natural talent and took advantage of his snaps by throwing for over 1,000 yards. 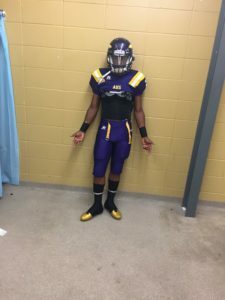 Even with the limited playing time, colleges still have shown interests as Breaux currently holds offers from Louisiana College, Texas Wesleyan, and East Texas Baptist. When the football season is over, Breaux likes being outdoors whether it is hunting or fishing. He also spends time with family, friends, and trains with his offseason trainer as well as his quarterback coach. 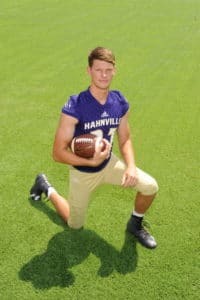 Bio: It sure was an adjustment for Jack Mashburn last season as he moved from his normal wide receiver position to the starting quarterback role after taking over former starter Johntae McDowell, who is now at Bowling Green High School. 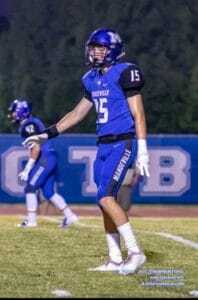 After taking over the starting quarterback job, Mashburn not only took it, but he ran with it completing 65% of his passes for 1,501 yards while running for 365 yards. As a receiver, Mashburn had 297 receiving yards. 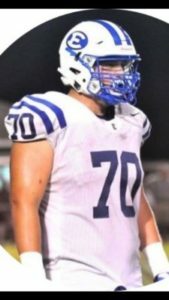 Right now, Mashburn’s only offer is from Lamar University, but there has been about a dozen schools that have been actively talking to him. When the football season is over, Mashburn likes to hangout with friends and go on vacation. 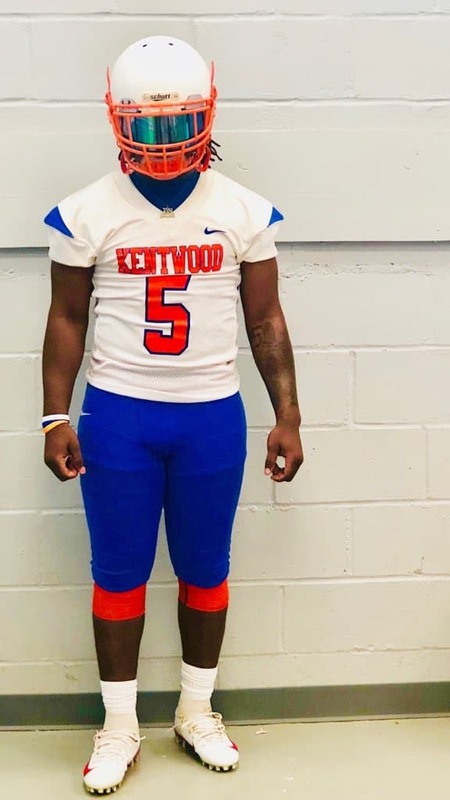 Bio: The All-State running back Larry Carter is a big favorite of Head Coach Jonathan Foster and was the bell cow for the Kangaroos’ explosive offensive attack that is full of great skill players. Last season, Carter ran for 1, 647 yards and 25 touchdowns. Carter’s top schools are LSU, ULL, and Southeastern Louisiana University. When the football season is over, Carter continues to work on improving his craft. 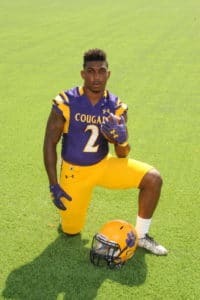 Bio: It is really puzzling why Jackson is not being looked at more especially when he is playing for a Louisiana football powerhouse like Edna Karr, but Jackson will try and improve his stock after an impressive junior campaign in which he ran for 1,300 yards, 24 touchdowns, and helped lead the Cougars to the Class 4A state championship. Right now, Jackson has had a couple of offers, but is still undecided. When the football season is over, Jackson likes to relax with his family and work out. Bio: The running back duo of Ronnie Jackson and Ahmad Antoine is arguably the best in the entire state. It is amazing how both players complement each other and are both playmakers while being unselfish about sharing carries. The duo of Jackson and Antoine is in for another season and for the first time in program history, they will try and lead the Cougars to their third straight state championship. 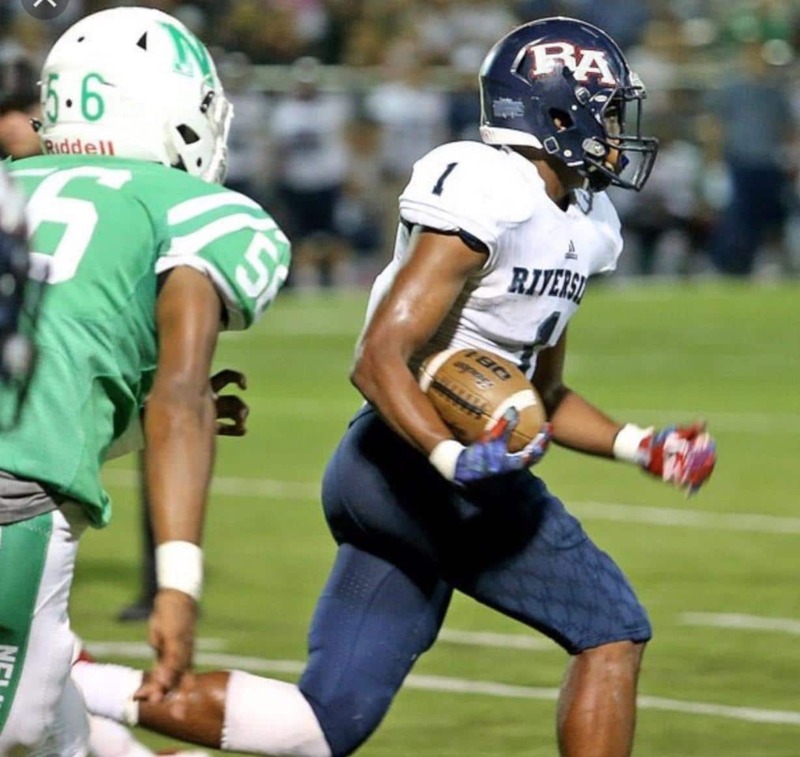 Last season, Antoine ran for 1,300 yards and 14 touchdowns. Right now, Antoine’s top schools are Houston, Arkansas State, ULL, Middle Tennessee, and Troy. When the football season is over, it does not mean that Antoine stops conditioning as he continues to try and improve on being a better player. 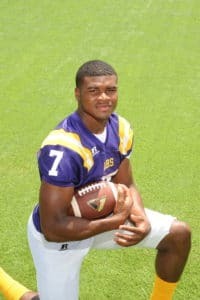 Bio: Chad Alexander is one of the most exciting players in the entire state and is one of those players that has the chance to take a play 80 yards every time he touches the football. 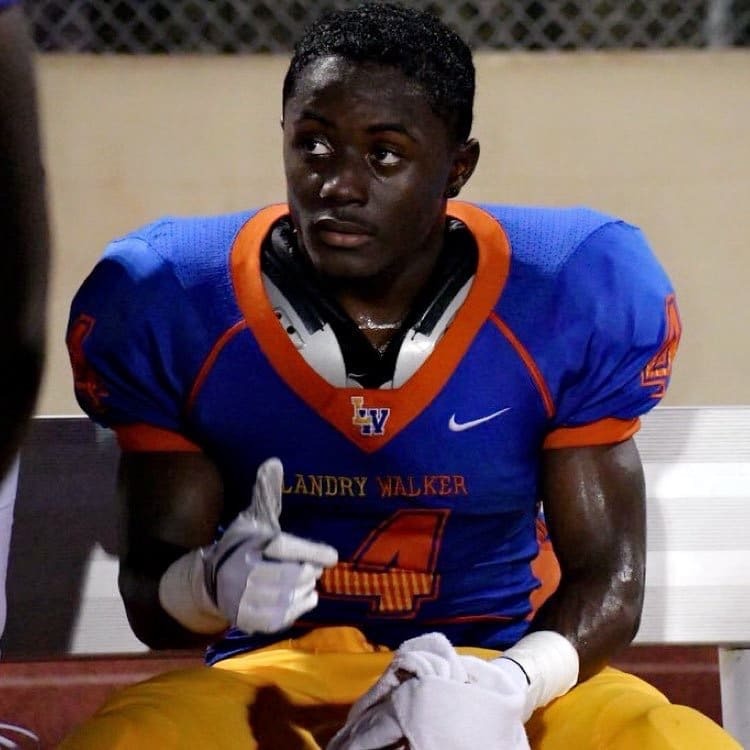 In 2017, Alexander took a lot of those plays to pay dirt rushing for 900 yards and ten touchdowns. Alexander will bring his electrifying speed to New Mexico as he has committed to the Lobos. With a lot of players that signed at the DI level for the Chargin’ Bucs, Alexander is expected to take a lot of the load for the team and he embraces that role. In fact, his goal is to rush for 1,900 yards and 15 touchdowns this season. After the football season is over, Alexander likes to workout and get ready for the next season. 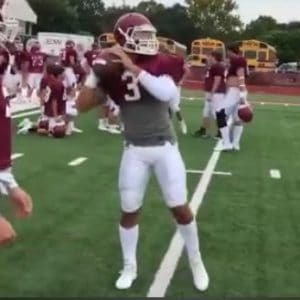 Bio: Kash Foley will need to be that go to guy even more now that QB Jordan Loving (LSU) has graduated. Last season, Foley showed his ability catching 66 passes for 994 yards in 2017. Foley’s top schools are Kansas, Kentucky, Arkansas, Western Kentucky, Tennessee, and Mississippi State. When the football season is over, Foley likes to workout, stay in shape, and play basketball. 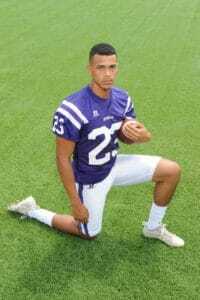 Bio: “If you go and see Patterson High School play, it is not hard to see Richard stick out as he is a Swiss Army knife for his team. In 2017, Richard threw for 432 yards and five touchdowns while also running for 1,143 yards and ten touchdowns as well as having 19 catches for 563 yards and six more touchdowns. Overall, Richard had 2,153 all-purpose yards. The All-State athlete is expected to have a bigger year with the addition of Head Coach Don Jones, who has sent many elite skill players to the next level most notably Brian Mitchell (Plaquemine/USL/Washington Redskins/Philadelphia Eagles/New York Giants). Richard’s top schools are UTSA, Kansas, South Alabama, Tulane, and Southern Miss. When the football season is over, Richard trains and stays in shape for next season. 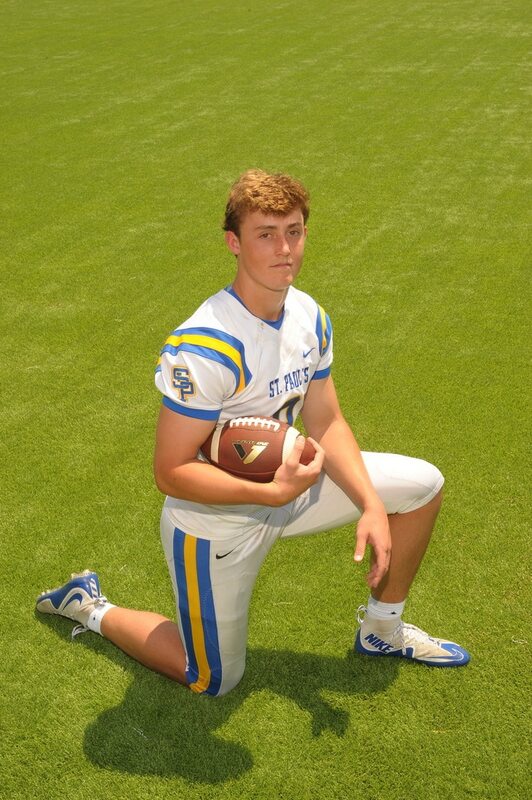 Bio: Noah Zeringue will look to be one of the bigger targets a quarterback can ask for with his 6-6 frame. 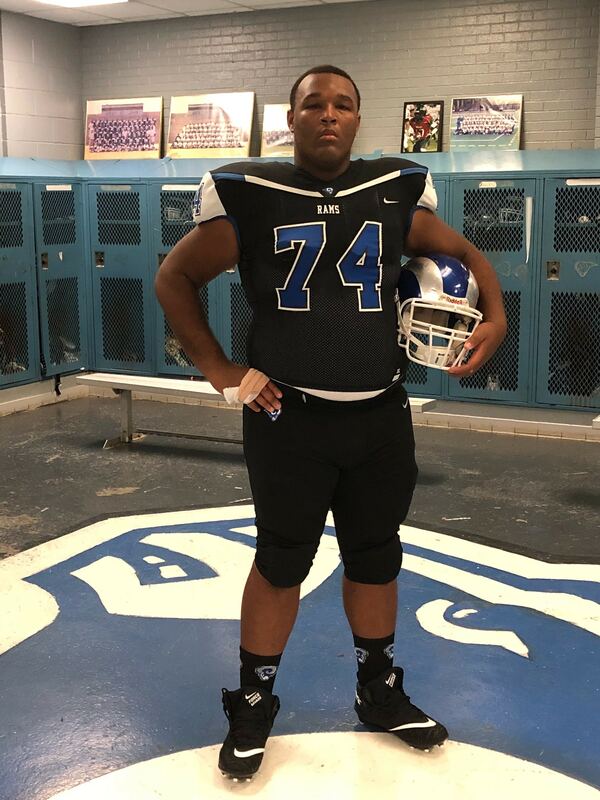 His frame has attracted some programs’ attention including McNeese State and Nicholls State. For Zeringue, it isn’t touchdown catches, yards, or awards that he is proud of, but it is the way he has improved over the offseason as far as getting bigger, stronger, and becoming more of a leader for his team. After this football season, Zeringue would like to continue his football career at the collegiate level. Bio: Hoxie Brown is another athletic target for the Wildcats. 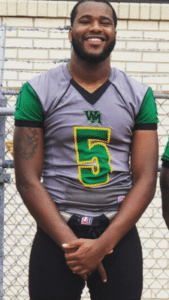 He is a two sport athlete that also plays basketball and he brings that skillset to football. Now a days, the basketball type tight ends are ever more popular in today’s game and Brown is an example of one of them. Right now, Brown’s top schools are Arkansas, Houston, Texas State, and Southeastern Louisiana University. When Brown is not playing either football or basketball, Brown can be seen either weightlifting or hanging out with his friends. Bio: What is amazing about Lewis is that he just moved to tight end over the spring. 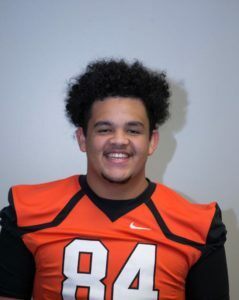 Lewis was a former defensive end and moved to the offensive side of the football after spending his first three years on defense. Lewis’ top schools are North Texas, Troy, and Northwestern State. When the football season is over, Lewis likes to try and stay in shape, but he also spends quality time with his family. Bio: Brandon Hubicz is another second generation player that proves that the apple does not fall far from the tree. 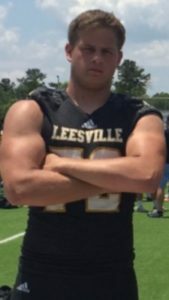 He might play a different position than his dad who played on the offensive line, but you can tell that he has the physicality, toughness, and intelligence to become a great player at the next level like his father was. Expect Hubicz to have a really good senior year especially since Catholic High Head Football Coach Gabriel Fertitta likes to use the H-backs and tight ends. 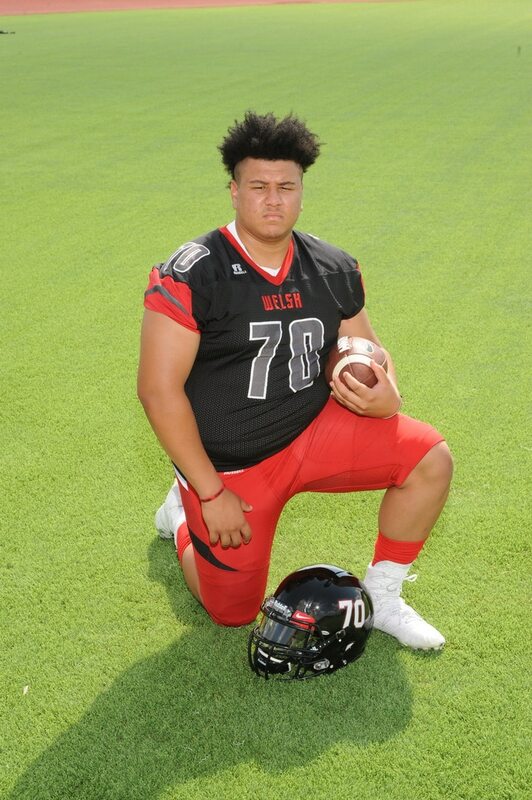 Right now, his top schools are New Mexico State, Mississippi Valley, Navy, and has been shown interest from other schools such as Ole Miss, ULL, and Western Kentucky. Bio: Being in a run heavy team like Church Point, Ian Meche will not get many opportunities to make any catches. In fact, he did not have any catches at all last season, but he takes his role seriously on both sides. Meche is a great blocker at the point of attack on offense and helps make the Bears go in the running game. The All-District honorable mention’s top schools are McNeese State and Nicholls State. When the football season is over, Meche continues to work on his game for the next season. Bio: Last season, Burton showed his ability to block in the running game with over 20 pancake blocks. As of right now, Burton is undecided as far as the colleges that he would like to attend and play for. When the football season is over, Burton gets himself ready for the next football season, but also plays basketball on the side. 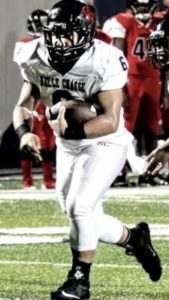 Bio: Belle Chasse center Cody Taylor has led a very successful running game for the Cardinals and will be the leader of a really good offensive line group. Right now, Taylor’s top schools are Southeastern Louisiana University, Mississippi State, and Texas. 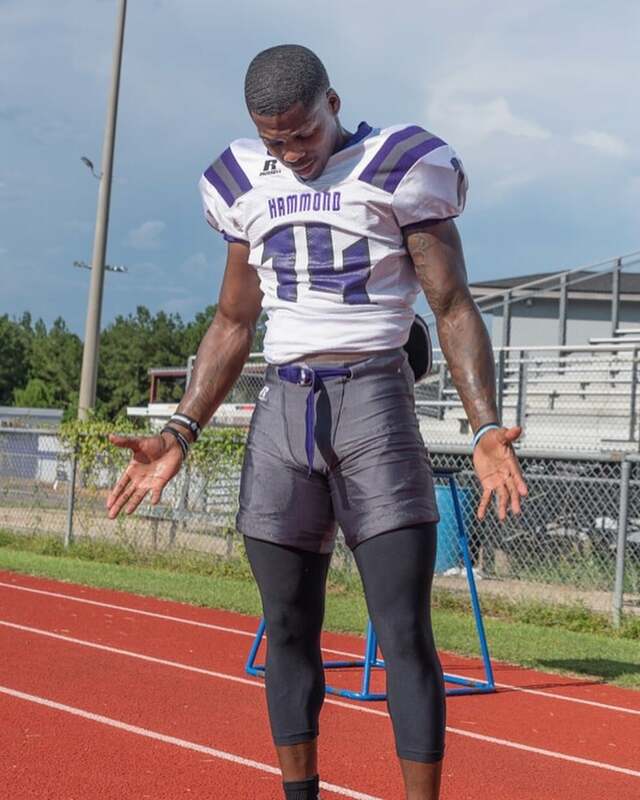 When the football season is over, Taylor likes to pace himself in the gym and out on the field getting ready for the next season. Bio: The 2nd Tram All-District center Gabriel Medina is one of the best centers in South Louisiana and paved the way for Anthony “Pooka” Williams (Kansas), who had a spectacular season in 2017. Right now, Medina’s top colleges are Louisiana College and Millsaps. When the football season is over, Medina likes to work out. 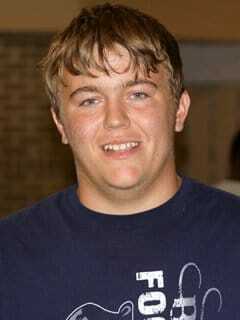 Bio: Jax Harrington has the frame, athleticism, and strength to be a DI offensive lineman at the next level. In fact, he has already committed to one and that is ULL. Not only is Harrington a dominant offensive lineman for the Bobcats, but he has also played on the defensive side of the football as well. Last season, he had 30 tackles and 12 sacks at defensive end. When the football season is over, Harrington likes to play basketball and run track. Bio: Matthew Anderson has the prototypical size to play at the DI level and can fill up while doing so. The 1st Team All-Parish, All-District, and Honorable Mention All-State selection was dominate last season after not giving up any sacks throughout the whole course of a year. 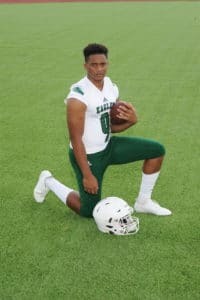 His frame and dominant play has allowed him to get plenty of scholarships including the University of Nebraska in which he has committed to play to next fall. 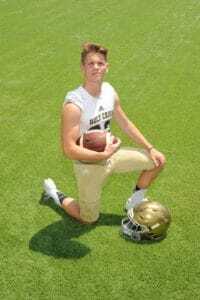 “I am very grateful to Coach Scott Frost and the Nebraska coaching staff for giving me a chance to play at the next level as well as the other schools that have given me an opportunity, but Nebraska is the right place for me,” Anderson said. When the football season is over, Anderson trains over the offseason, but he also takes the time off to relax whether it is playing chess or playing Madden. Anderson is also an Eagle scout. 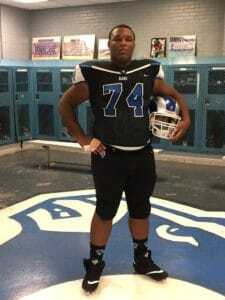 Bio: Ahmad Brantley is the mainstay on the Patriot offensive line. He has been dominant earning 1st Team All-District and All-Metro honors. Brantley’s top schools are Nicholls State, UNLV, ULL, and New Mexico State. 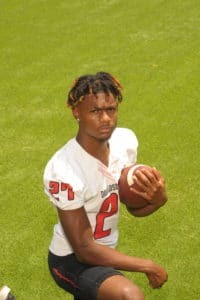 So far, Brantley admitted that Nicholls has recruited him the heaviest so far, but is open to all his college options right now. When the football season is over, Brantley likes to workout at GLS in Marreo, LA with his trainers and spend quality time with his family. his junior year and has had many other achievements including making All-District, and All-Parish. 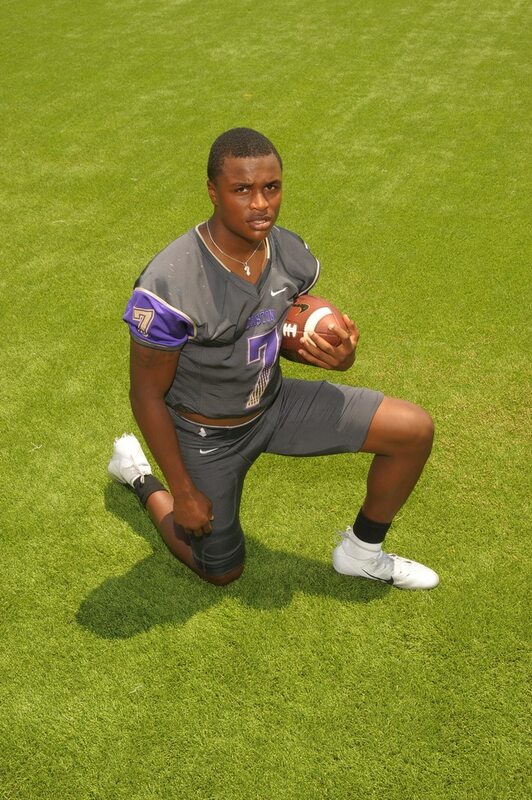 Right now, McKenzie’s top colleges are Alcorn and Howard, but it could change if more offers come McKenzie’s way. When the football season is over, McKenzie goes straight to playing baseball so he really does not have an offseason. 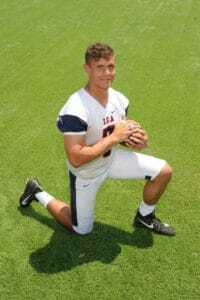 Bio: All-State kicker Nolan Heitmeier has set plenty of school records. For three straight seasons, he has held the single season total points record. Heitmeier has also been named All-Metro finalist and was the team’s special teams MVP as a sophomore. Heitmeier’s top schools are LSU, Wisconsin, UTSA (University of Texas San Antionio), and USA (University of South Alabama). 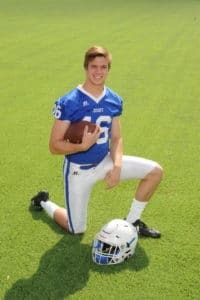 When the football season is over, Heitmeier focuses more on his technique, power, and speed when it comes to kicks. He also plays soccer during that time. Bio: What is also unique about Ortega is that he is not your typical skinny kicker as he is 6-1 about 220 pounds. Still, Ortega gets the job done and has won a bunch of games for the Yellow Jackets in the past. 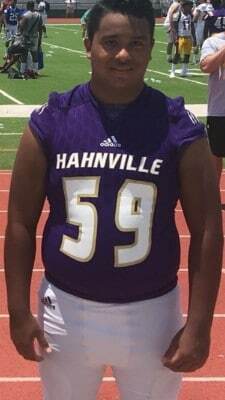 Over his high school career, he was All-District honorable mention his freshman year and sophomore year, but made 2nd Team All-District as well as 1st Team All-Parish last season. 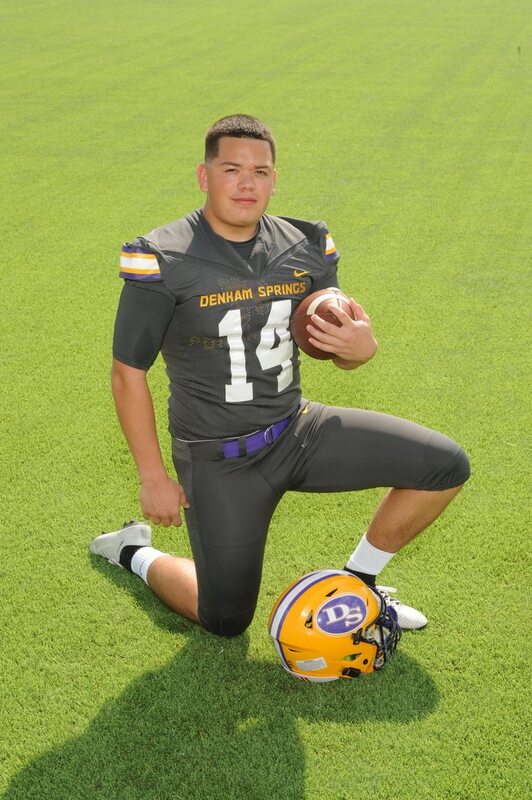 Right now, Ortega is open to any school that is willing to give him a chance. This summer, he has attended camps at LSU, Memphis, Ole Miss, UAB (University of Alabama Birmingham), and South Alabama, but Ortega is looking just to play at any level in college. 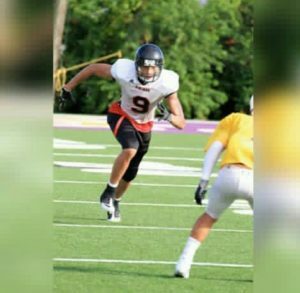 Even though Ortega’s goal is to play college football, his number one priority is to graduate with a college degree. 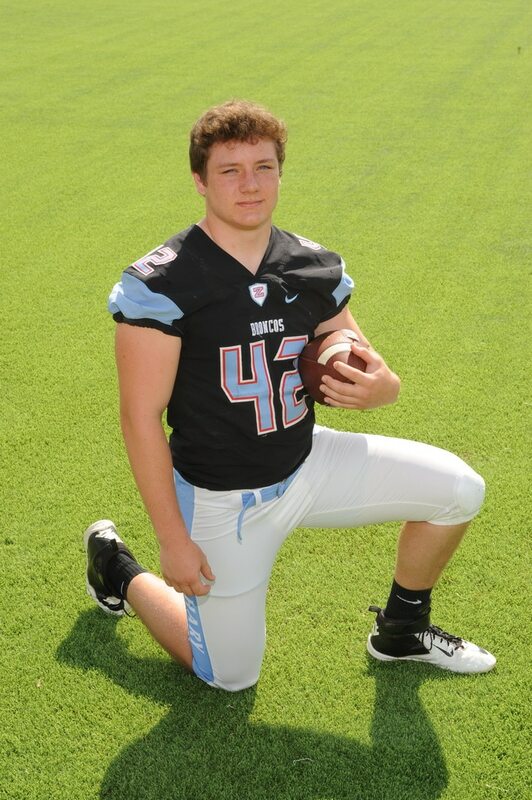 Bio: The 1st Team All-District and All-Metro selection was 15 of 22 in field goal attempts with a long of 49 yards. 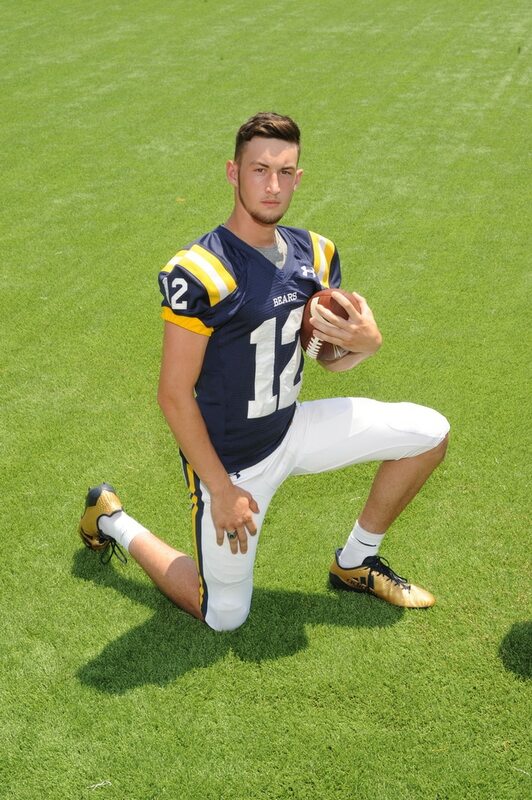 Also, Stein was able to show off his strong leg on kickoffs converting 42 of his 48 kickoff attempts into touchbacks. As of right now, Stein’s top schools are ULL, Southern Miss, LSU, and McNeese State. When the football season is over, Stein likes to go to the gym and hang out with friends. 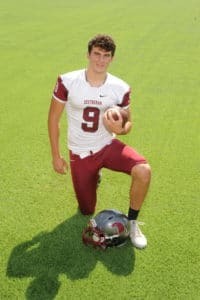 Bio: “Carson Rieder is an unsung hero for the Destrehan Wildcats as he does a lot of the dirty work for the team and does a lot of tasks that are not always the most glamorous, but it helps get the job done. Whether it is blocking, holding, receiving, or snapping, Rieder is an unselfish player that can do a lot of different things. Last season as a tight end, Rieder had only nine receptions, but he took advantage of those opportunities with seven touchdown grabs. Rieder’s top schools are Southeastern Louisiana University, Northwestern State, and New Mexico State. When the football season is over, Rieder likes to work out, improve on his game, and go offshore fishing. 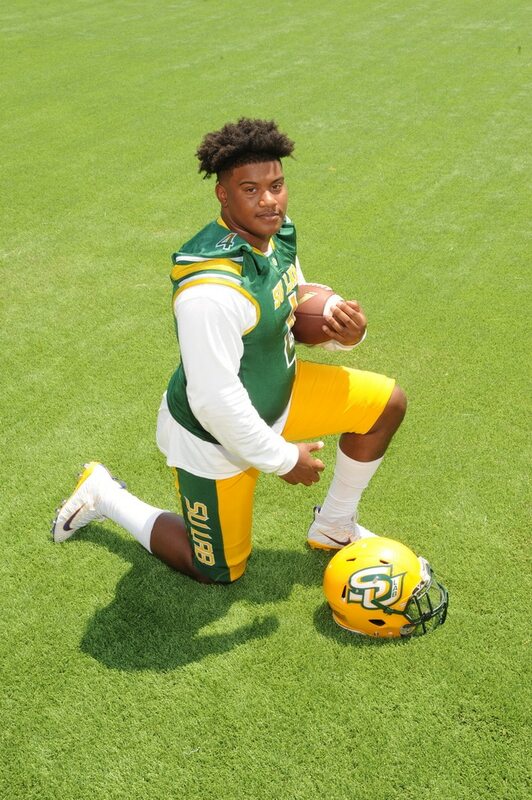 Bio: When Cameron Ryals heard that he was making our 2nd All-South Louisiana team, it was very rewarding for the Slidell long snapper who has been waiting for four years to be recognized for his play. As a four year starter, Ryals’ goals for the upcoming season is to be 100% accurate on his snaps and have at least one punt tackle per game. Ryals’ top schools are ULL, Southeastern Louisiana University, and Nicholls State. When the football season is over, Ryals likes to long snap over the weekends and work out with some college long snappers as well. 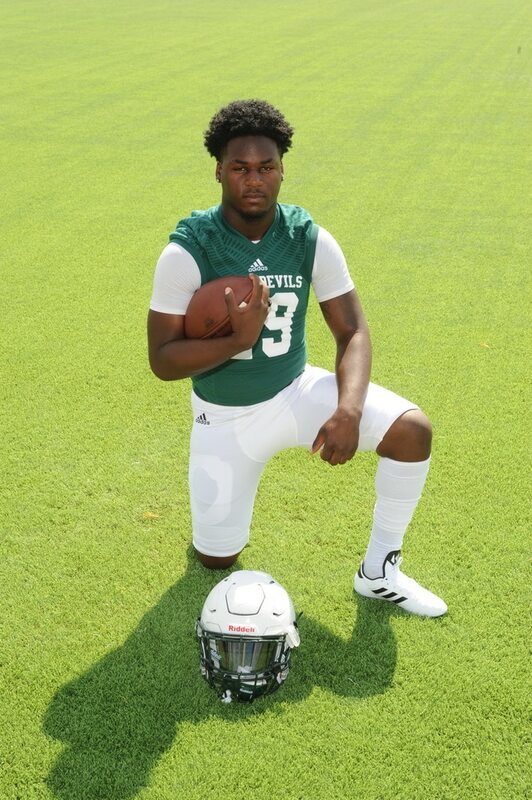 Bio: The 1st Team All-District playmaker Darryl Montgomery will be looking to put up many points on the board for his team this season. Montgomery’s top schools are ULL, McNeese State, and Southern Miss. When the football season is over, Montgomery will focus his attention to college and decide what major he will pursue in. 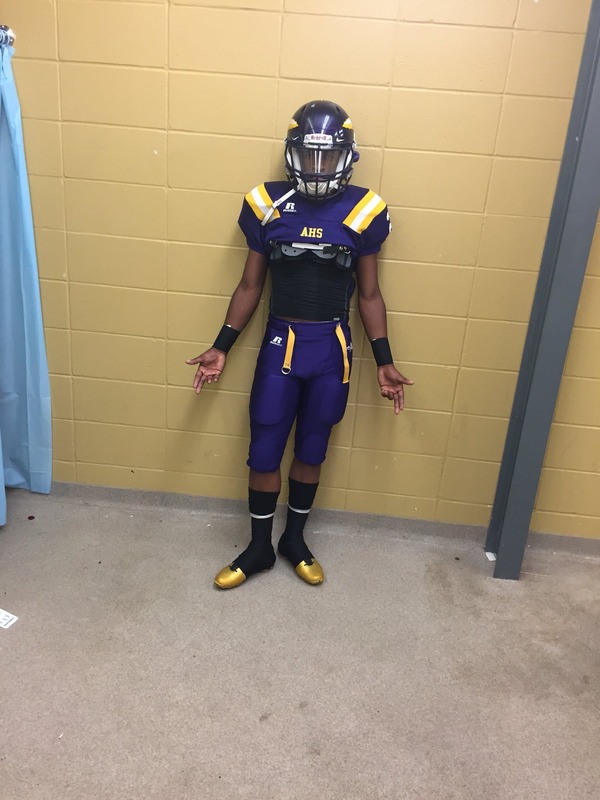 Bio: Cameron Henderson is one of many playmakers for the Amite Warriors. Henderson is also one of many DI caliber players as well. As of right now, his top school is Idaho. When the football season is over, Henderson plays baseball. Bio: The stats have backed up All-State athlete Brandon Legendre as being one of the program’s all time greats when it is said and done. 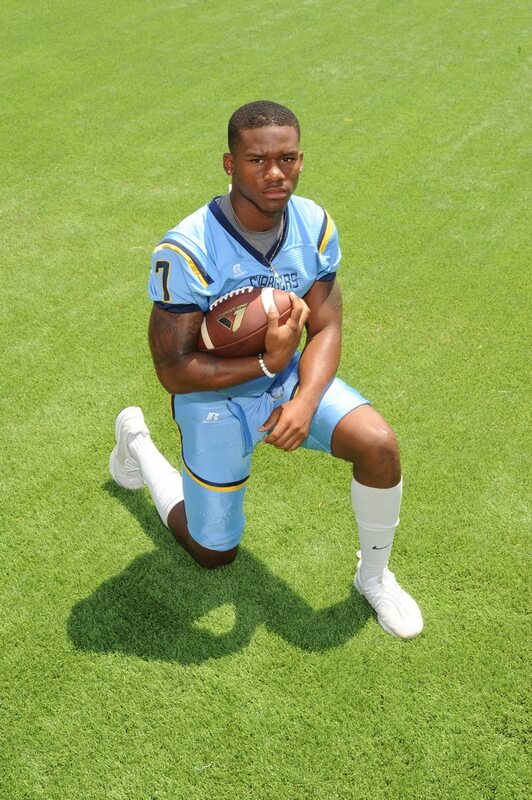 Last season, Legendre ran for 1,234 yards on 112 carries and an impressive 31 touchdowns. Right now, Legendre has only one school that he is considering and that is ULL. But for right now, Legendre will have to wait after his senior season to arrive on campus. 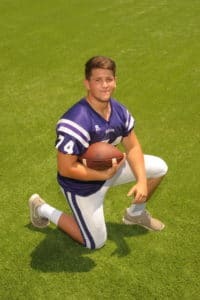 When the football season is over, Legendre is involved with powerlifting, track, and baseball, but mostly, he is working on his skill set for next football season. 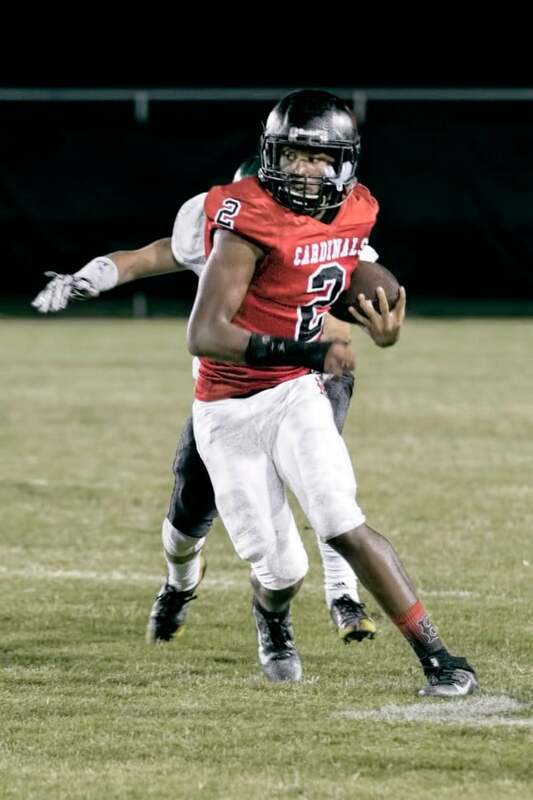 Bio: Ralph Jones’ versatility has been a key part of the Cardinals’ success. His top schools are McNeese State, Tulane, LSU, Mississippi State, and Texas A&M. When the football season is over, Jones likes to stay fit for college football. Bio: Last season, Kian Connerly did most of his damage in the secondary and in the return game. In 2017, Connerly had 40 tackles, but also returned both a kickoff and a punt for a touchdown, which is hard to do at any level. As of right now, Connerly’s top schools are Southeastern Louisiana University and Louisiana College. When the football season is over, Connerly can be seen working out. 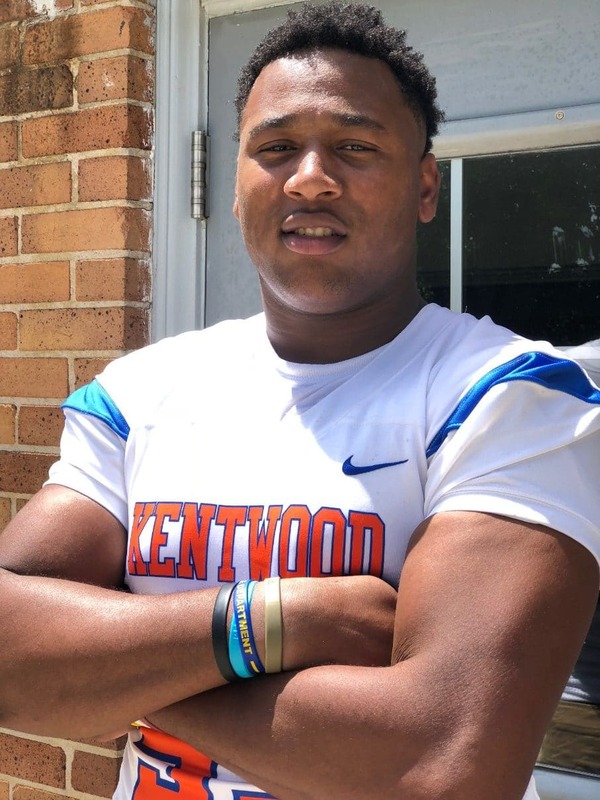 Bio: The Kentwood Kangaroos have been known for their skill position players, but Kendall Wilkerson proves that the team does not have just skill guys running around, but big, athletic linemen as well. 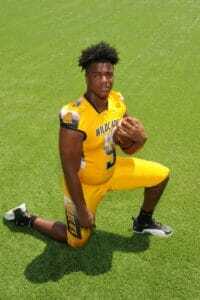 Wilkerson helped lead the Kangaroos to a Class 1A state championship appearance with 81 tackles and 14 sacks last season. Wilkerson’s top schools are LSU, Kansas, UCF (University of Central Florida), ULL, and Southeastern Louisiana University. When the football season is over, Wilkerson likes to play video games. Bio: Even Kardell Thomas has admitted that one of the toughest players he has ever blocked is his own teammate Christopher Welch. It comes to show you how dominant Welch can really be. 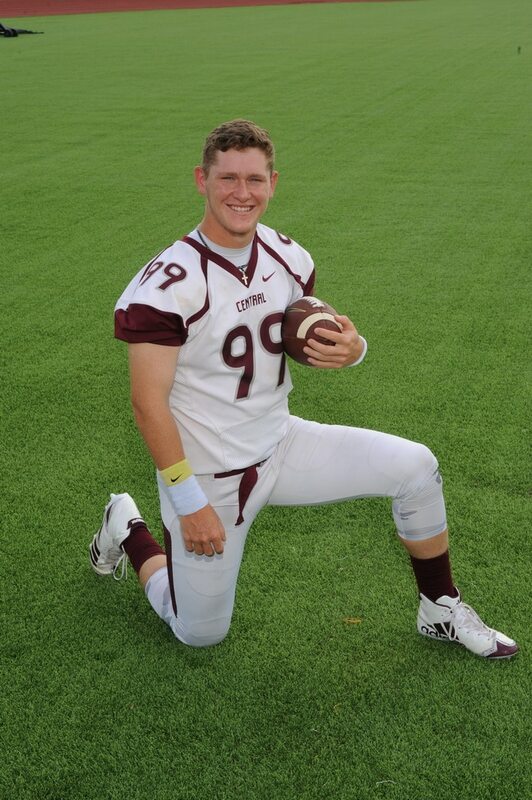 He has already had a great career which includes making All-District as well as All-State twice. Welch’s top schools are Memphis, UCF, Idaho, Texas A&M, Texas, and Tennessee. When the football season is over, Welch likes to workout and go on vacation. Bio: Although being inexperienced and raw, Ned showed what kind of player he could be in 2017. Last season, Ned had 57 tackles, 3.5 sacks, five fumble recoveries, and five forced fumbles. Ned’s top schools are Houston, ULL, Grambling, Tulane, and Southeastern Louisiana University. When the football season is over, Ned likes to play basketball. Bio: Hauron Robinson has clearly showed his ability to dominate on the field thanks to his enormous size and athleticism. 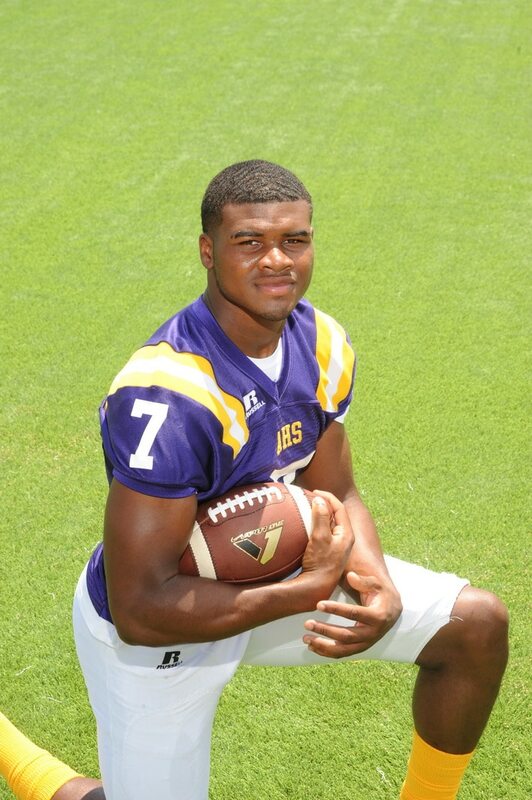 Over his prep career, Robinson has made 1st Team All-District, All-Metro, All-State, and All-River Parish. He is also a Class 1A state champion after leading the Rams to that title last season. Robinson’s top colleges are South Mississippi Community College, ULM, and Tennessee State University. 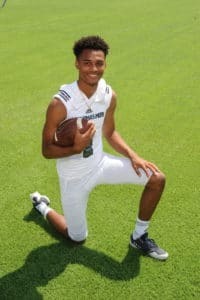 For Robinson, he wants to find a suitable college that involves football and would also give him a chance on pursuing his degree in computer engineering. 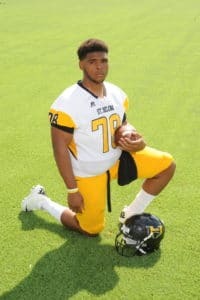 Bio: Last season, Myles showed that he was not just a big guy, but an athletic big guy by picking up a loose fumble against Walker High School and returning it for a touchdown. The four year starter had another big season clogging holes up with 79 tackles, 50 solo, 17 tackles for loss, and eight sacks. So far, Myles is undecided when it comes to colleges and is open for any interests coming his way. After the football season is over, Myles likes to workout and participate in track and field. Bio: Jay’Brayion Spencer has the frame, athleticism, and effort to become one of the state’s best players at his position by season’s end. 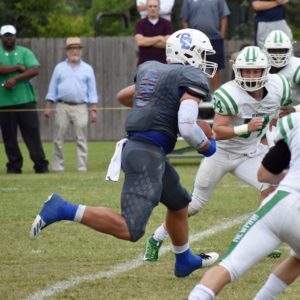 Last season, Spencer did a little bit of everything posting 79 tackles, nine sacks, 26 tackles for loss, an interception, three forced fumbles, two blocked punts, and even scoring a touchdown. Right now, Spencer has committed to ULL. 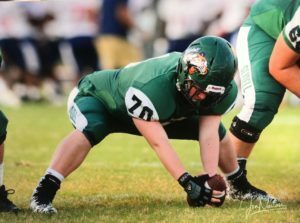 When the football season is over, Spencer continues to improve on his game and making sure that he will be ready for the next season. 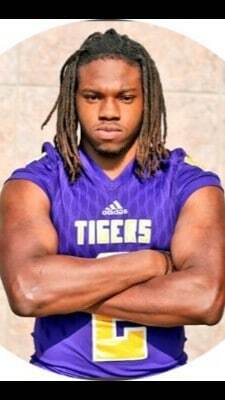 Bio: One of the Eagles’ bright spots in their 0-10 season in 2017 was the play of Miles Haney, who had 85 tackles, eight tackles for loss, a sack, an interception, two forced fumbles, and a fumble recovery. It will be interesting how he does in 2018. As of right now, Haney’s top schools are Southeastern Louisiana University, Louisiana Tech, and ULL. When the football season is over, Haney likes to participate in track and field. Bio: In 2017, Jarius Monroe showed his ability to tackle and in coverage by finishing third on the team in stops, but also being one of the team leaders in interceptions with four. The three star’s top schools are Houston, Memphis, Western Kentucky, Ball State, Southeastern Louisiana University, Nicholls State, and ULL. 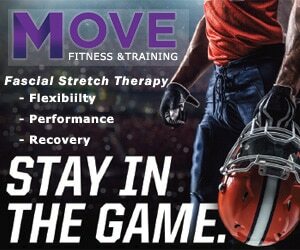 When the football season is over, Monroe likes to workout and find ways in which he can get better at. 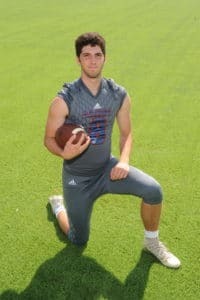 Bio: His leadership qualities showed last season when the Broncos won their second Class 5A state championship in four years. 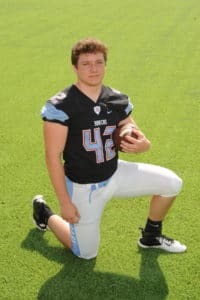 In 2017, Brady was a tackling machine racking up 130 tackles, five forced fumbles, two fumble recoveries, and 28 tackles for loss while being named District MVP, All-Metro MVP, and Coach’s Composite All-State. Brady’s top schools are Army and Southern Miss. When the football season is over, Brady wrestles and hangs out with friends. 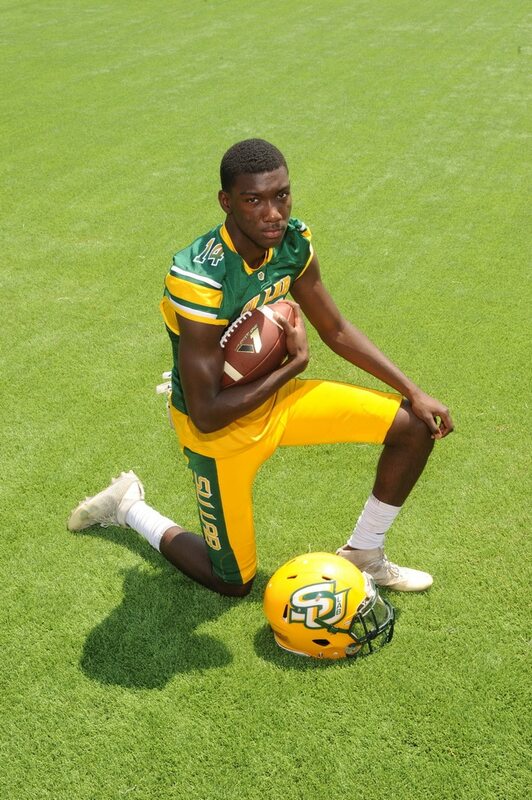 Bio: Tyreese Jackson plays on both sides of the football for his team. At the high school level, he has been known at running back. Over the last three years, Jackson has been 1st Team All-District three times and has ran for over 3,000 yards along with 30 touchdowns. Jackson’s top schools are West Virginia and Houston. When the football season is over, Jackson likes to get better in the weight room. 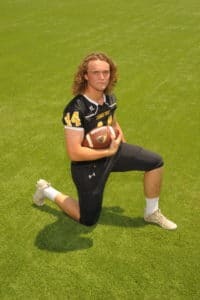 Bio: Drew Lasseigne may be a 1st Team All-District linebacker, but his biggest focus is on baseball where he helped lead the Wildcats to a Class 5A state championship in 2017. Lasseigne is committed to playing baseball for LSU Eunice. Bio: Ross Talbot has adjusted from Jesuit High School to Metairie Park Country Day with ease as he accounted for six touchdowns on offense as well as 100 tackles on the defensive side of the football. Talbot’s top schools are ULL, Southeastern Louisiana University, Texas State, and McNeese State. When the football season is over, Talbot plays basketball. 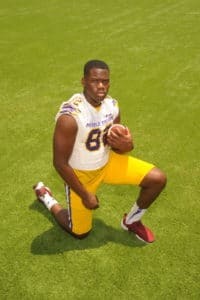 Bio: Herman Christophe is the next big time defensive player from a school that has produced plenty of its talented DI defensive players. Last season, the 1st Team All-District linebacker had 102 tackles, eight tackles for loss, two sacks, and an impressive four touchdowns. 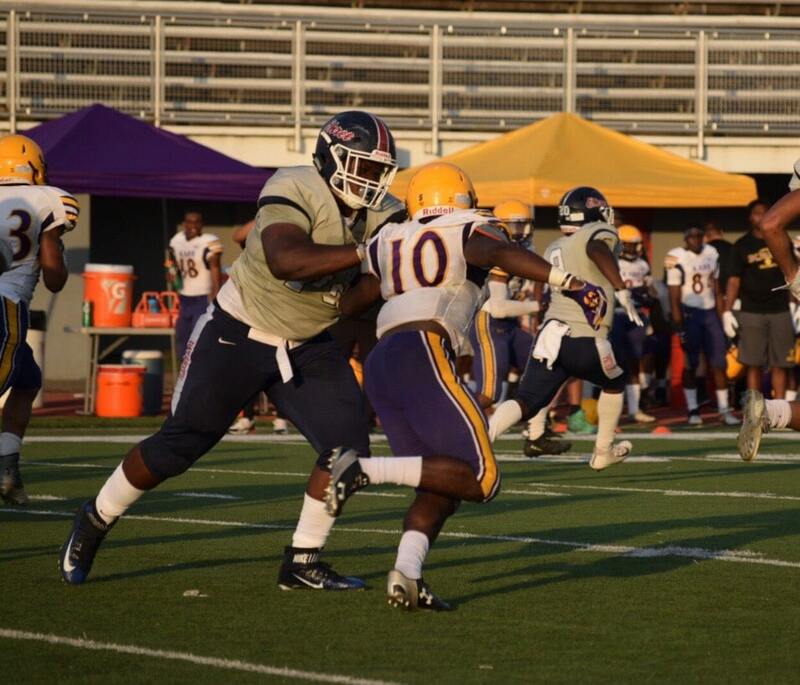 Right now, his top schools are Grambling, Northwestern State, and Southeastern Louisiana University. 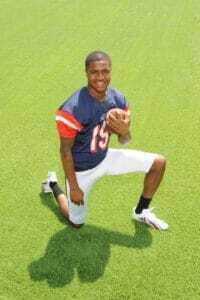 Bio: In a squad full of DI caliber players, Coleman found himself playing multiple positions for the Patriots. Last season, Coleman made 1st Team All-District as a cornerback, but he also played some offense and special teams as well combining for nine total touchdowns. 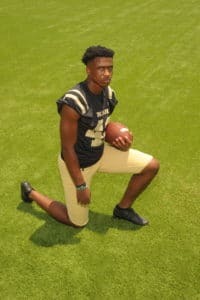 Coleman’s favorite schools are Oklahoma, LSU, Georgia, Mississippi State, and Kansas, but he has received offers from ULM, McNeese State, and Idaho. When the football season is over, Coleman prepares for next season, reflects on the previous season, and has fun with friends. 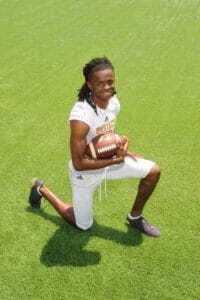 Bio: The Kittens have playmakers all over the field especially Kendarias Moses in the secondary. Moses has the ideal frame for a DI cornerback and has the skill to go along with it. In 2017, teams tried not to throw the ball in his direction as he had 42 tackles and three interceptions. Moses’ top schools are Tennessee, Auburn, LSU, and SMU. When the football season is over, Moses likes to spend as much time with his little brother as possible. Bio: “Markeyvrick Eddie has a lot of confidence in his speed as well as his play because he set some high goals for himself including making 1st Team All-State this season and winning a state championship for his team. 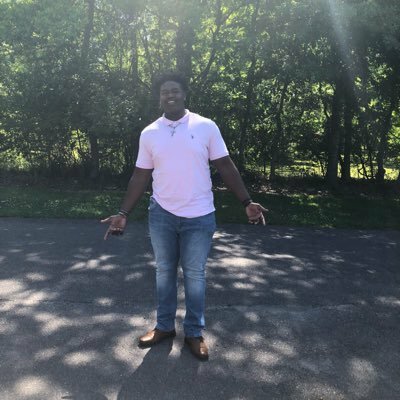 Eddie’s top school ,as of right now, is Western Kentucky. When the football season is over, Eddie shifts his focus into basketball season. 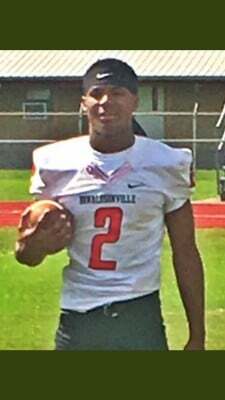 Bio: Christian Bell is just one of plenty of good athletes for Donaldsonville High School. Every time Bell has touched the ball on offense, he is a threat to score. Last season, he scored seven touchdowns. Bell’s top schools are Kansas, TCU, Baylor, and Houston. When the football season is over, Bell puts his speed to good use running for the high school track team. Bio: Bertrand Carrell is not your normal cornerback as he is big, physical, and loves to hit anything that is coming his way. Last year, Carrell had an impressive 112 tackles and three interceptions. Carrell’s top schools are Missouri, LSU, Tulane, Kentucky, Memphis, Arizona, and Florida. 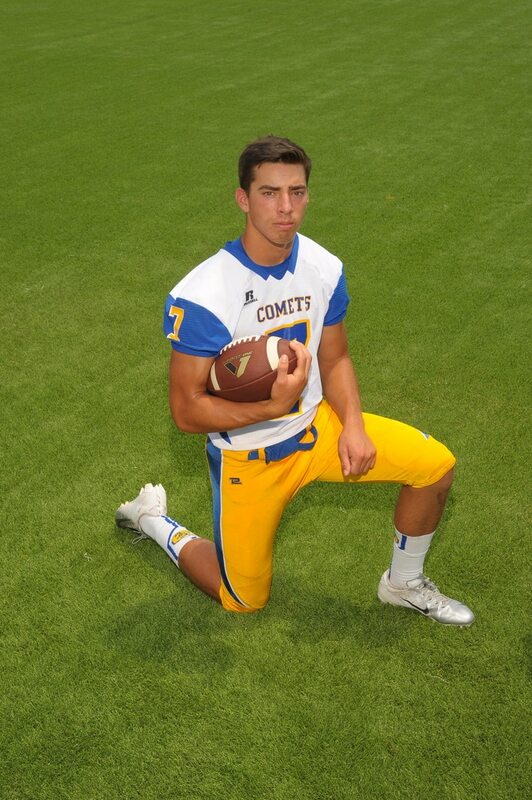 When the football season is over, Carrell stays active by running track and working out. Bio: Ben Bonner is more about the team than himself. He is one of those guys that reflects more on the team accomplishments than the individual accomplishments. Bonner is a coach on the field and the leader of the Skippers defense. As of right now, Bonner is looking for a program that would be interested in him. If he does not get the opportunity to play at the next level, he will be attending LSU. When the football season is over, Bonner likes to take a break and just hangout with friends. Bio: Like Ben Bonner (Mandeville), who was mentioned above, Authement is one of the leaders of the St. Charles Catholic team. In 2017, Authement was very active on the backend of the Comets defense with 53 tackles, five interceptions, three tackles for loss, three sacks, and two forced fumbles. 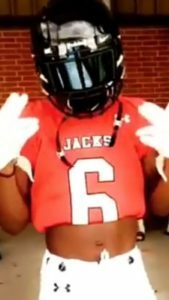 So far, Authement is off to a good start in 2018 after the scrimmage and jamboree game already getting one interception. Authement’s top schools are Nicholls State, ULL, and Southeastern Louisiana University. Bio: Ron Franklin has made his presence known to wide receivers that are coming towards his way in the middle of the field. Right now, Franklin is considering schools such as South Alabama, Nicholls State, ULL, and Mississippi State. When the football season is over, Franklin prepares for baseball season. 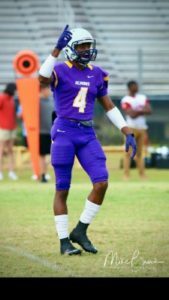 Bio: Hammond High School has been known for great secondary play and has produced may players most notably Robert Alford (Southeastern Louisiana University/Atlanta Falcons). 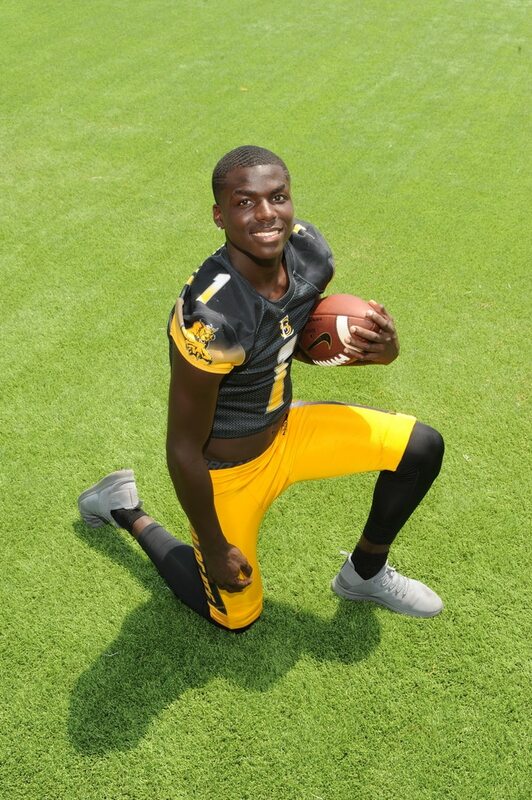 Tyrone Lewis is looking to be the next great defensive back to come out of the program. In 2017, Lewis had 42 tackles, an impressive nine interceptions, scored five touchdowns, and was responsible for over 300 yards of offense. Lewis’ top schools are Utah, Missouri, Tulane, Kansas State, Texas A&M, Arkansas, ULL, Kansas, Memphis, and Ole Miss. When football season is over, Lewis admits to being a gym rat, but is also focused on his education and school work as well. Bio: Like teammate Christian Bell, Jeffery Johnson is a threat to take a play the distance on any given play. Johnson scored five touchdowns last season. His top schools are Clemson, TCU, and Houston. 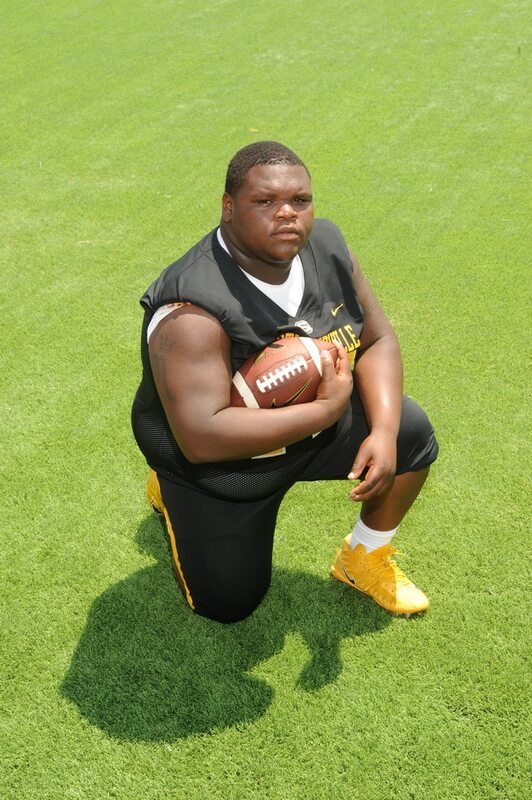 When the football season is over, Johnson likes to work out and train for the next season. Bio: “Warren Easton has produced a lot of great DI players to the next level and Jahmal Sam is not an exception. In 2017, Sam not only showed off his ball hawking skills with six interceptions, but he also showed his playmaking ability returning two of those interceptions for touchdowns. 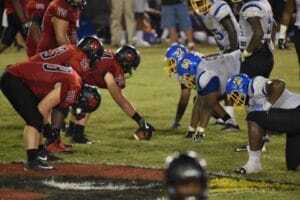 He also had 78 tackles and six pass deflections. 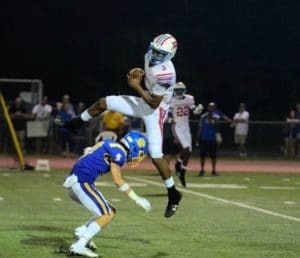 The team may be losing one DI defensive back in Damien Tate (Tulane), but they return another in Sam, who has committed to ULL. When the football season is over, Sam runs track. Bio: Having a guy in the back end of the defense that is trusted by everyone on that side of the football just makes each person’s job easier. That is how important Helm is to the rest of the Blue Jays. In 2017, Helm had 75 tackles, an interception, three forced fumbles, and an 80 yard touchdown return off of a blocked field goal. Not only is Helm a smart football player, but he gets the job done in the classroom as well. His top schools are Rhodes College and Louisiana College. When the football season is over, Helm likes to hang out with friends and family.